Foldable OLED displays « Adafruit Industries – Makers, hackers, artists, designers and engineers! 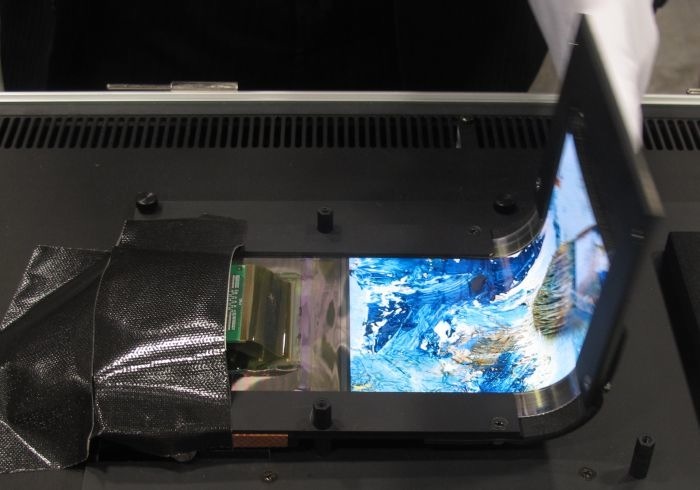 Firms Show Off Foldable OLED Panels @ Nikkei Technology Online. The book-type and three-fold displays can be bent up to curvature radii of 2mm and 4mm, respectively. They can be bent more than 100,000 times, SEL said.